So you do him instead? It was 7 degrees quite chilly but sun in the sky. Left home showing ice on the dash of the multi http:// Arrived at my dealers at 10am the bike looked gorgeous out front of the shop bathed in sunshine. 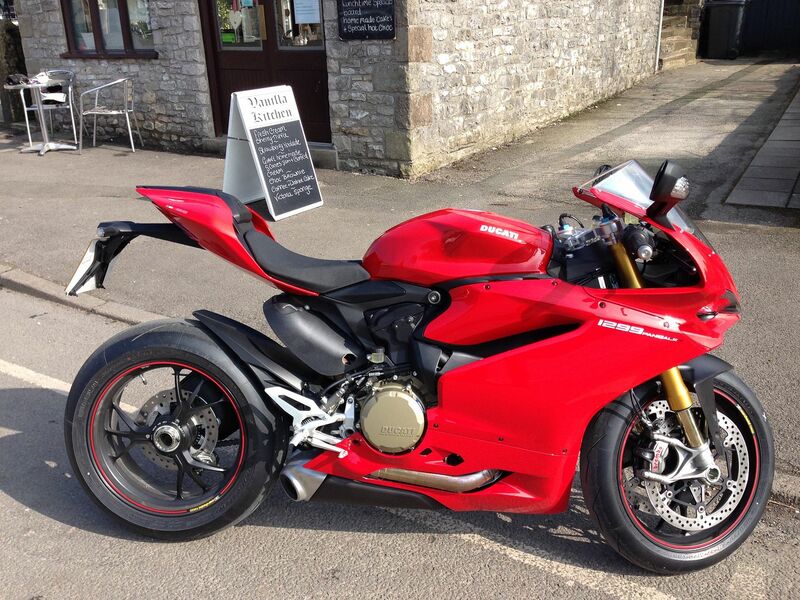 I do however think I prefer the look of the 1199 that slim front end. Started him up boy did he sound growly deeper than I remember the 1199. The bike had only been ridden by the mechanic so I felt very privileged to be putting the first miles on him. Off through the city of Sheffield battling the congestion the bike was a joy even in the heavy traffic very smooth no snatchy throttle. Off and into the Peak District up and down Dales through the lovely meandering roads the bike was a dream to ride. People's eyes followed the bike as I road past some open mouthed I am sure some of the guys thought 'wow the new Panigale' I bet it looked beautiful gleaming red in the sunshine as it whizzed past effortlessly. The Panigale and my demo soon to be Srambler! But, would I buy one? 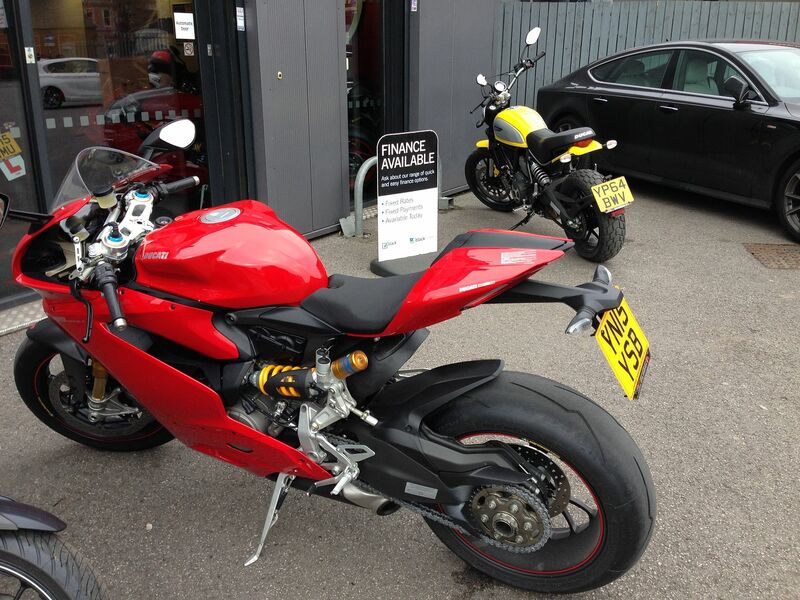 Or would I buy another 1199? Not convinced, think my money will be better spent on an 1199Abs with slip on termis mmm just like the one I got ride of dohhh!! 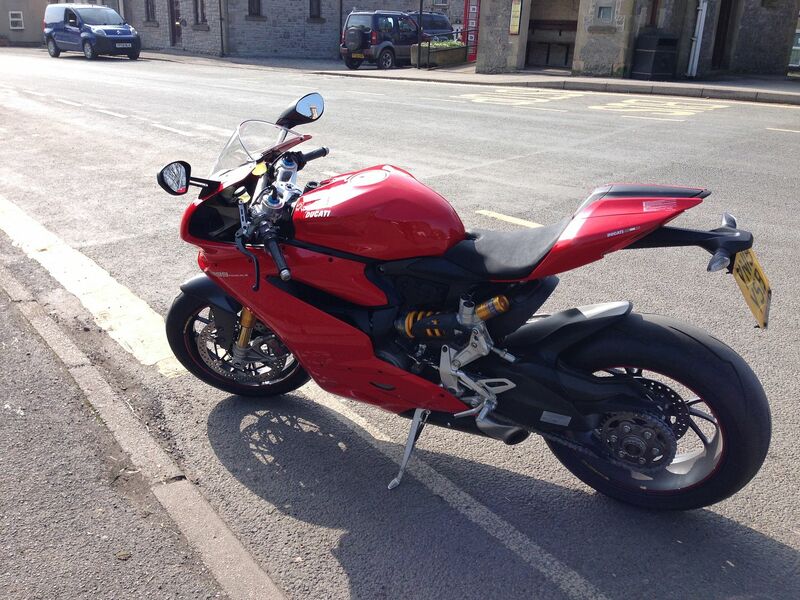 Now why oh why can't Mr Timms be like most guys and lust after a Panigale? Then he could buy it and I could ride it!!! Interesting analysis --thanks for the review. I believe Ducati did enough with the 1299 to successfully drum up incentive for purchasing new, but I don't believe the perceptible difference in performance to the 1199 will be as substantial as some have been led to believe. From an appearance perspective, I'm not a fan of the black stripe on the seat cowl, and feel the previous stock cans offered a sportier, more compact appearance. The newly designed heat shield is definitely an improvement, though. You reminded me! I don't think the look of the rear seat/ cowl is stylish and is awkward to swap over not just push and click on place. +1 heat shield gets thumbs up. 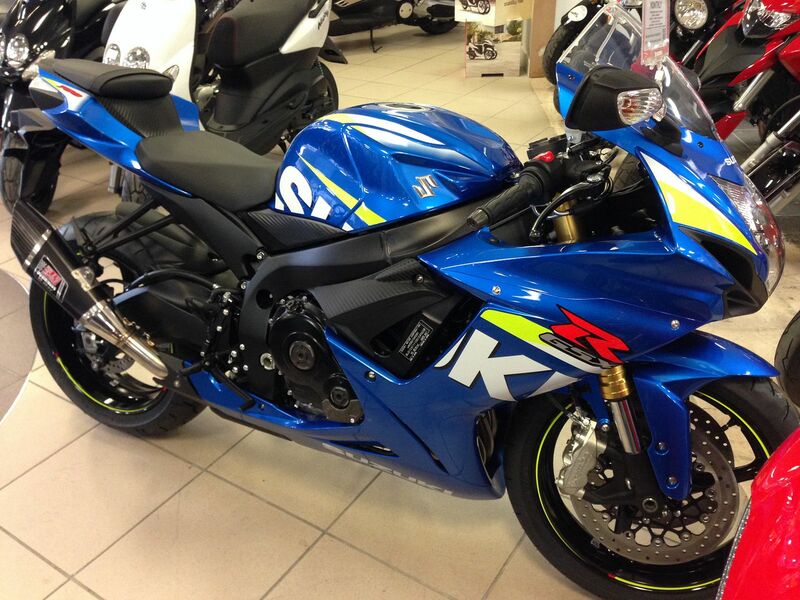 Michael is thinking is new Gsxr 750 well it's his birthday today I will let him have the suzuki if he must. Mmm maybe nice for me to ride! I really don't understand why Ducati is using those ugly plastic rear cylinder cover, that was the first I removed when I got my 1199S early 2013. The original Design of the 1199 without this "bread box" and the free view on the fantastic cylinder head is still the best. Removing those from the 1199 was no big deal, just some screws needed to be replaced. Question is if this is also the case for the 1299. Next to this, the head cover design (next to other covers) is different and may not look as good as the one of the 1199, see iamges. If I would own a 1299, I would never ride it with these covers! By the way, I never have an issue with heat from the cylinder head. Last edited by jogy; Mar 22nd 2015 at 06:13 AM.